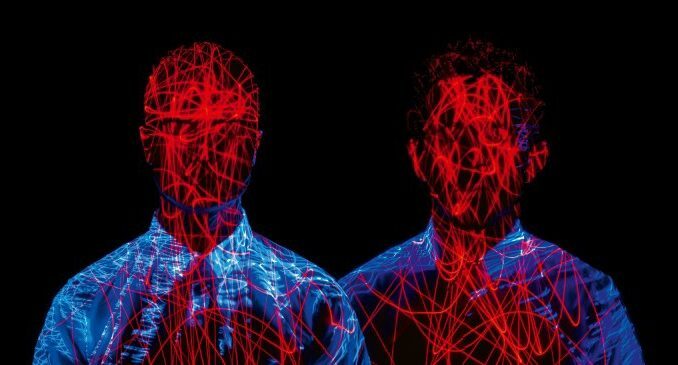 Enigmatic electronic duo – MONARCHY – will return to dominate the dance floors of the UK once more this October for a limited number of live shows. In the midst of a full European tour scheduled for the Autumn, messrs Andrew Armstrong and Ra Black will stop off for just two UK live shows along the way. An appearance at London’s Fields Brewery on 14th October sees the duo on home-turf, before heading up north for a debut headline performance at Manchester’s Deaf Institute (15th Oct). The tour follows the recent release of their sophomore album ‘Abnocto’ and a 10 track covers ‘EP’ this summer. With the latter equipping them with a trove of velveteen re-workings of pop smashes by the likes of Beck, Lana Del Rey, Blur and more, the East London duo hint that the live shows may see a surprise or two appear alongside a host of favourites from the repertoire. Since their formation in 2009, Monarchy’s continually evolving career has followed a twisting path contorted with extraordinary encounters and surreal surprises at every turn. Garnering attention immediately as a ‘mysterious duo’, the band found themselves scooping the coveted Band of The Day accolade from The Guardian before debut single ‘Gold in The Fire’ had even been pressed. Before long, the pair found themselves entertaining a queue of artists including Kylie Minogue, Lady Gaga, Marina and the Diamonds, Ellie Goulding, Kelis, OMD and more desperate for remixes of their work glossed with the duo’s unmistakeable synthesised stylings. Dropping début album ‘Around The Sun’ in 2011, their globe-trotting schedule has since seen them headline shows and club gigs in the US, Spain, Germany, UK, France, Russia, and take on some of the world’s biggest festivals including Melt, Lovebox, and The Big Chill. However, it would be their set at Coachella in 2011 that would see them strike a close friendship with burlesque superstar Dita Von Teese. Dita has since collaborated vocals and video appearances on three tracks for the band including YouTube smash-hit ‘Disintegration’ – the first single to be taken from 2015 album ‘Abnocto’, along with ‘Black Widow’ and the duo’s recent sensual re-working of Blur’s ‘Girls & Boys’. 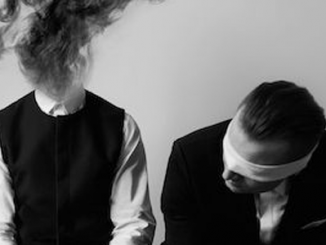 Self-releasing all their own material and mixing it their own studio in East London, Monarchy continue to retain a fierce independent spirit and a striking, yet enigmatic identity. With plenty more surprises no doubt still to be unravelled in the duo’s career, Monarchy will see out what has already been an unprecedented year with these unmissable live shows.